“SEO experience” is the new “Microsoft Office.” Everyone lists it on his or her resume (or at least everyone in digital marketing). But if you’re hiring an SEO professional, or a digital marketer with SEO skills, how can you actually figure out if they know anything about SEO? This is especially tricky if you’re an SEO neophyte yourself. I’ve been interviewing and hiring in the digital marketing and SEO space for eleven years. In that time, I’ve probably interviewed close to 200 people and hired dozens. It’s a tough industry for hiring; it’s technical and creative at the same time. It requires left brain analytical thinking for the technical side and right brain creative thinking for the marketing side. Here are some warning signs to look out for in resumes and some questions you can ask during the interview process to figure out if your “SEO expert” is actually an expert. SEOs: People with a long history of SEO experience. Digital Marketers: People who have done elements of SEO at different jobs, without SEO ever being their core responsibility. Some people say they have “SEO experience” on his or her resume but what does that really mean? Just because you’ve fixed a toilet once, it doesn’t make you a plumber. Just because he or she has done keyword research and placed some keywords on a page, it doesn’t make them an SEO expert. 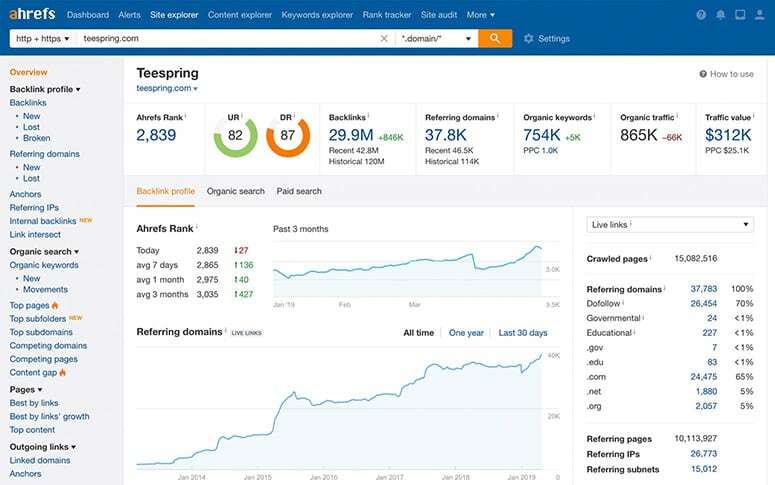 On these kinds of generalist resumes, you should look out for specific elements of SEO, like keyword research, on-page optimization and link building. If those specific roles or responsibilities are mentioned, that’s a good sign. Once you’ve screened the resumes, you want to make sure the interview process has some detailed, SEO-driven questions to dig deeper on your candidates. Of course, you’ll need to know the answers yourself, so I’ve provided those too. Here are a few questions that anybody with SEO experience should be able to answer. Of course their answers won’t be verbatim, but they should hit the main points listed below each question. What is Domain Authority? How does it affect your rankings? Answer: Domain Authority is a score developed by Moz (an SEO tools company) that gauges the strength of a website. It’s measured on a logarithmic scale from 1-100. The higher the score, the stronger the website in the eyes of search engines, and the easier it will be for that domain to rank for competitive keywords. Name at least one popular tool for checking backlinks. Answer: Some commonly used tools include Open Site Explorer (by Moz), Ahrefs, Majestic and Cognitive SEO. Answer: Search console is a collection of tools and reports that Google offers free to help SEO professionals monitor website performance. Some of the reports include ranking reports, links to your site, Index status, crawl errors, sitemap submission, etc. What is a disavow file and what is it used for? Answer: A file is used to “disavow” links that are pointing at your website from other sites. The need for this arose when Google started penalizing sites for spammy link building practices. A disavow file is submitted to Google via your Search Console account. It should list all inbound links that you want disavowed. It’s simply a way to tell Google that you don’t want those links to count toward your reputation. What does a site map help search engines do? Answer: A sitemap helps search engines crawl and index your website pages faster. This is especially helpful if you publish new content on a daily basis to ensure that Google gets a fresh feed of all your new content. It DOES NOT help your pages rank higher. If you don’t submit a sitemap Google will still come around and crawl your site eventually. Name three “On-Page” ranking elements. Answer: Any of the following – title tags, URLs, page copy, H1 tags, image name and alt-text. If you’re looking to hire someone beyond just a generalist (say you want a technical SEO analyst who can work directly with your web developer), you’ll need to ask some more tech-specific questions. What is a robots.txt file and what is it used for? Answer: A robots.txt file is a simple text page that is placed on the root level of the server (usually located at www.website.com/robots.txt). This file is used to exclude certain pages on your site from getting indexed by search engines. You can also use the file to exclude your entire website. What is a 301 redirect? What is it used for? How is it different from a 302 redirect? Answer: A 301 redirect is a permanent redirect of a URL or a domain. This is mainly used to redirect old or inactive pages to a newer page. A 302 redirect is a temporary redirect and does not pass any link equity. If a site 302 redirects an old URL to a new one, none of the rankings associated with that page or domain are going to get transferred to the new URL. It’s important to always use a 301 redirect in order to ensure that link equity is passed. What is a canonical URL tag and what is it used for? Answer: A canonical URL tag is a meta tag that is placed on a page to tell search engines which version of a page is the “preferred” version. It is primarily used to reduce duplicate content on your site. A good example of when it is used is on e-commerce websites when there are 1,000 products in a category, which results in dozens of category pages for the same category. All of the “duplicate” category pages would have a canonical tag pointing the first main category page. This helps search engines rank your main category page for the intended keyphrase. Answer: Yes, they can. By using Search Console, you can fetch and render any page to see which elements are read and displayed correctly. Search Console identifies elements that cannot be rendered so they can be fixed. Can search engines crawl content in PDF files? Answer: Yes, they can. Not only does Google crawl and index them but PDFs will come up directly in the search results for some searches. Usually forms, templates and other documents like that. If your candidate doesn’t know the answer to any of the above questions and you’re hiring for a position where the main job function is SEO, then they’re obviously not a great fit. However, if SEO is a small portion of the role and they know answer to some of the above questions, consider that it’s going to be hard to find somebody that has a lot of SEO experience and is going to be a perfect fit for what you need. Instead, it might be better to find somebody that has a decent general knowledge and is interested in furthering their knowledge while working for you. So once you’ve hired this team member, how long will it take him or her to start showing you some SEO results? Read our e-book to find out how long SEO actually takes.